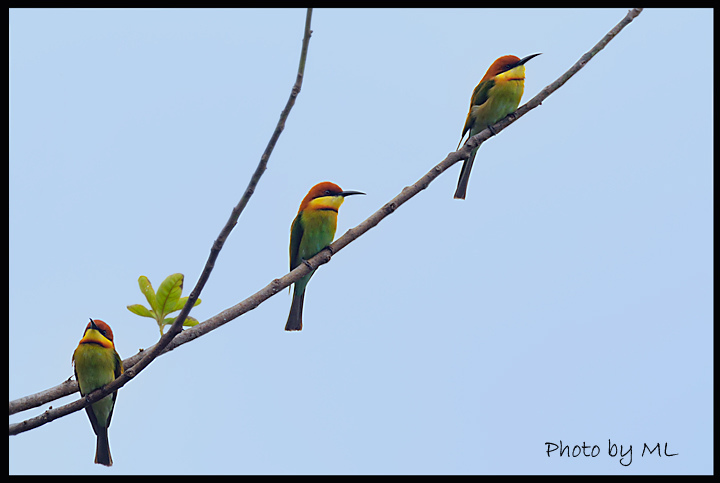 A tree full of chestnut headed bee-eaters! After we bagged a couple targets, we continued our elevation. While I was trying to make sense of what just happened, the car rolled to a halt. “What is it?” I asked. “Viper on tree!” Indera exclaimed. This is not good, I thought to myself ( my phobia sets in). 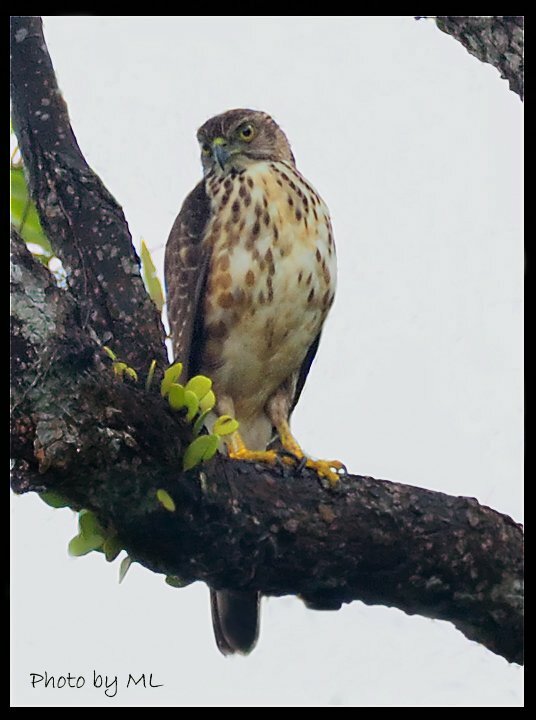 While Indera and Riz were “engaged” in the reptile, Karim, our driver/birdwatcher spotted a raptor roosting on a tree. We quickly rushed to his position and luckily, all of us managed to get some shots before the raptor flew away. Indera quickly referred to his bird guide book. “Its a grey faced buzzard” he said in disbelief. It appeared that this raptor is a rare migrant seen on the island! Yay, to all of us! The mist starts to set in again, hence we decided to call it a day. As we made our descend, we saw this weird looking hornbill. According to Indera, that was a female wreathed hornbill! 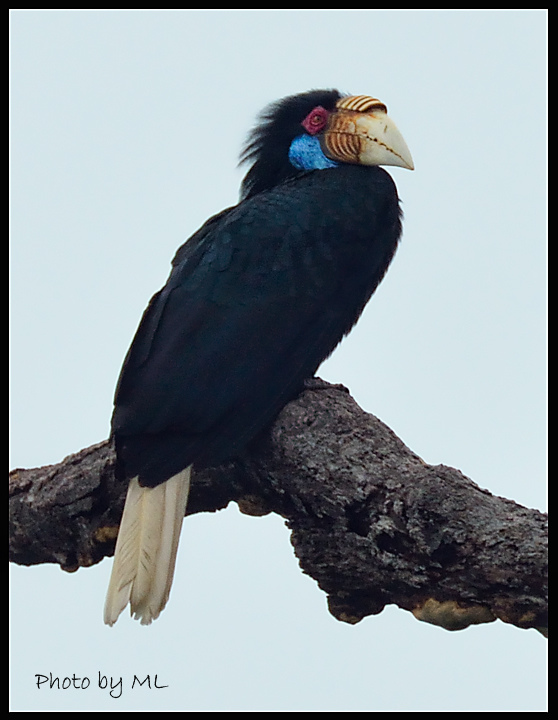 I was thrilled- my 3rd hornbill in just 2 days! 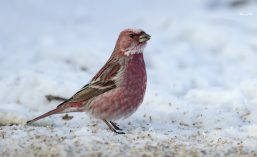 What a lovely bird to end the morning trip! Wreathed hornbill – looks evil to me~! P.S. 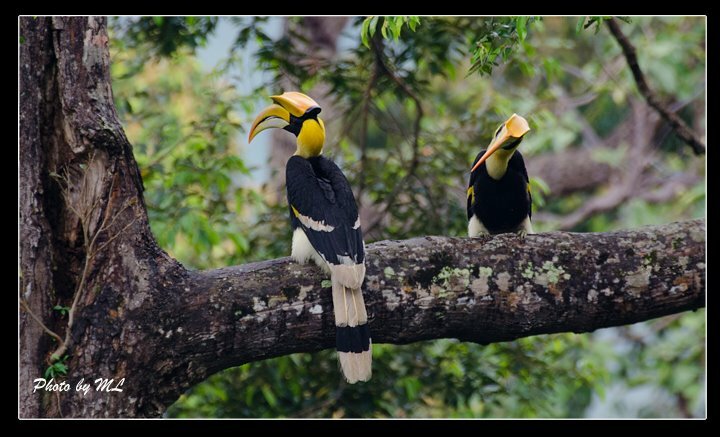 I have shared the wreathed hornbill with Guardian Post. 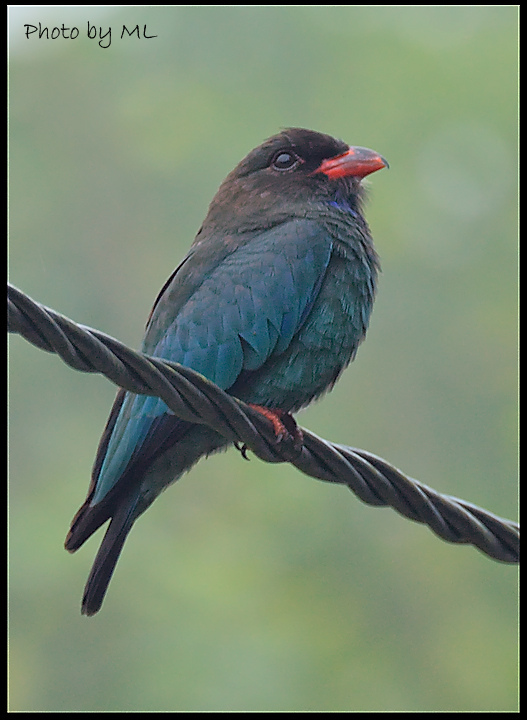 This entry was posted in Malaysia and tagged bird watching, Birds, chestnut headed bee-eater, dollar bird, great hornbill, grey faced buzzard, Gunung raya, hornbills, langkawi, nature, wreathed hornbill. Bookmark the permalink.